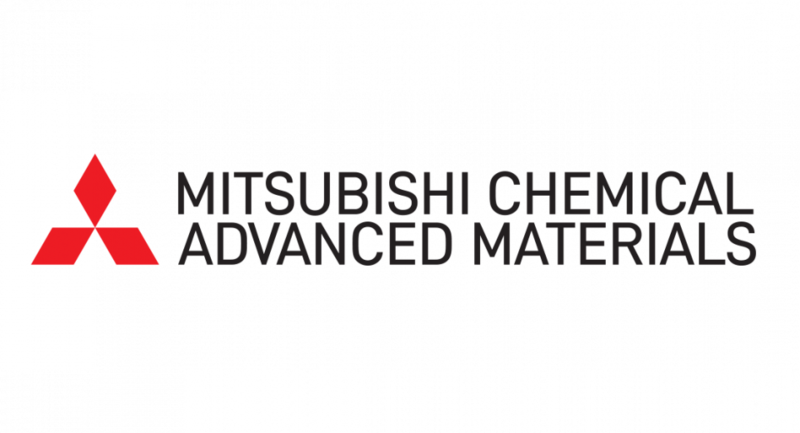 Mitsubishi Chemical Advanced Materials is a leading global manufacturer of high-performance thermoplastic materials in the form of semi-finished products and finished parts. Mitsubishi Chemical Advanced Materials specialty engineering thermoplastics and composites are superior in performance to metals and other materials and are used in a wide range of applications, primarily in the capital goods industry. We are continuously developing new areas of applications in close cooperation with industry leaders in a broad variety of customer markets. Mitsubishi Chemical Advanced Materials is well prepared to further expand its market leadership position. Acetal provides high strength and stiffness coupled with enhanced dimensional stability and ease of machining. As a semi-crystalline material, acetal is also characterized by a low coefficient of friction and good wear properties -- especially in wet environments. Acetron® LSG (POM-C) stock shapes are produced from selected batches of polyacetal copolymer resin. This engineering plastic combines good mechanical strength, stiffness, impact strength, chemical resistance, dimensional stability and friction and wear properties with an excellent machinability. Quadrant is dedicated to production of high-quality components for function critical systems through injection molding. They operate an extensive range of state of the art molding machines and auxiliaries, all aimed at reducing the time and cost of product assembly. Quadrant is dedicated to developing and machining new high-performance plastic materials for cutting-edge applications. They co-design and machine from a drawing, or start from a sample, and offer you a long term, stable and reliable finished component. Armor-X's™ non-marring, cushioned surface shields critical surfaces and heavy, expensive parts and equipment, including stainless steel, from gouges and scratches. Acetron POM-H Delrin is a homopolymer acetal, manufactured and stocked in rod and plate. It offers slightly higher mechanical properties than Acetron® GP Acetal, but may contain a low-density center, especially in larger cross-sections. Copolymer acetal also offers better chemical resistance than homopolymer acetal. Delrin is ideal for small diameter, thin-walled bushings that benefit from the additional strength and rigidity of homopolymer acetal. Duratron® LSG PEI stock shapes are produced from selected batches of a specific Ultem polyetherimide resin. This polymer shows a combination of outstanding mechanical, thermal and electrical properties combined with a good hydrolysis and chemical resistance. With its versatile performance capabilities and proven use in a broad range of applications, Duratron™ polyamide-imide (PAI) shapes are offered in extruded, injection molded, and compression molded grades. Duratron U1000 PEI is an amorphous polymer offering high strength and excellent flame and heat resistance. Duratron® D7000 PI machinable shapes are ideal starting points for designs that reduce weight, extend length of service before maintenance or replacement and reduce overall cost by increasing process uptime. Ertalyte® is characterized as having the best dimensional stability coupled with excellent wear resistance, a low coefficient of friction, high strength, and resistance to moderately acidic solutions. Fluorosint enhanced PTFE’s unique properties are the result of a proprietary process in which synthetically manufactured mica is chemically linked to virgin PTFE. These Low Weight Reinforced Thermoplastics (LWRT) make up a product group of special lightweight plastic composites with low thermal expansion and excellent mechanical and physical properties. Quadrant's high density polyethylene (HDPE) is used in a variety of applications and industries where excellent impact resistance, high tensile strength, low moisture absorption and chemical- and corrosion-resistance properties are required. Ketron CLASSIX™ LSG PEEK stock shapes are produced from Invibio® PEEK-CLASSIX White resin. This material has a maximum body contact duration of 30 days and exhibits a unique combination of mechanical properties, temperature and chemical resistance. The KyronMAX materials are the strongest injection moldable thermoplastics available. Engineered for metal-replacement in the aerospace, automotive, medical and recreational industries, the portfolio combines chopped-carbon with a broad array of base resins to optimize tensile strength, stiffness, impact and fatigue performance. KyronMAX polymers can be compounded to excel in high heat, chemical, or water environments to expand their range of applications. LDPE is more flexible than HDPE, which makes it a good choice for prosthetic devices, most of which are either drape formed or vacuum formed. Due to their superior physical and mechanical properties, cleanliness and consistency, Chirulen and Extrulen have become the orthopedic implant materials of choice for articulating surfaces, helping restore a higher quality of life to millions of patients worldwide. MultiQ is a product line of thermoplastic composites in panel form whose specific properties make them particularly suitable as an environmental alternative to plywood in outdoor applications. Near Net Shapes reduce or even eliminating the need for surface finishing like machining or grinding and deliver bottom line benefits that can save more than two-thirds of the production costs. Nylatron is a superior wear material that offers exceptional stiffness. Nylatron can be modified to add additional characteristics that enhance performance and increase length of time in service. Proprietary Stable Machine Grade (SMG) formulated homopolymer sheet that exhibits superior dimensional stability and flatness after aggressive fabrication. Proteus® Co-Polymer offers excellent chemical resistance, has strong compliance footprint and is easy to fabricate. This Quadrant propelyne is perfect for tank applications because it is inexpensive, easy to fabricate and has strong resistance to cracking. Proteus® Co-Polymer also works well in orthotic devices that require a lower degree of rigidity. PVC sheet from Quadrant is a good, economical alternative to higher priced materials. Its weldability and compatibility with Type I PVC pipe saves time and money since the PVC-formed container can be directly welded to the PVC pipe, eliminating flanges or other connectors. Quadrant® LSG PPSU stock shapes are produced from selected batches of a specific Radel R Polyphenylsulfone resin. This material offers a better impact strength and chemical resistance than Duratron® LSG PEI and LSG PSU and it also has superior hydrolysis resistance as measured by steam autoclaving cycles to failure. PC 1000 machine grade polycarbonate (PC) is a transparent amorphous thermoplastic which offers very high impact strength and high modulus of elasticity. PSU 1000 Polysulfone (PSU) is an amber semi-transparent, heat-resistant, high performance engineering thermoplastic. It offers excellent mechanical, electrical and improved chemical resistance properties relative to polycarbonate. Quadrant offers engineered plastic lining solutions to make the handling of bulk goods safer, faster, easier and more efficient. Our products are used in various kinds of storage and transport containers as well as in dump trucks. The Semitron® Semiconductor Grade products were developed to help designers and users optimize the performance of device manufacturing equipment. Semitron® MPR1000 is a new engineering material developed for Semiconductor applications and more specifically for use in vacuum chamber applications such as these found in Etch, CVD and Ion Implant. TIVAR® UHMW-PE products meet FDA, USDA and 3A Dairy Sanitation guidelines for food processing and handling, making it the material of choice for tough food handling problems.